Yard Sale Mommy: Giveaway Day: Gymboree Fairy Costume or Magic School Bus! I am a follower of your blog, which I love, and I would love to get the Magic School Bus books. My kids LOVE Magic School Bus, and so do I! I also like you on facebook. I would pick the Magic School Bus Books. And I like you on Facebook already, too. Your blog and FB are so much fun! I follow both! I'd def. choose the fairy costume for my 5 year old - she tries to convince us that she's a fairy most days! I liked you on facebook! Your advice is awesome! I'd choose the fairy costume! I already follow your blog (and love it!) and would love the fairy costume for my little girl. I love the idea of finding fairy costumes at yard sales as giveaways for a party - I may just have to borrow your idea when my daughter turns 4 next year. I am also already a fan of YSM on Facebook. For some reason google is being hard to get along with - I have to post as "anonymous" and just sign my name! What fun! We did a "dress up" party a few years back, but my daughter is more into "pop stars" than fairies these days. So Magic School bus for me. Loving your site - you have inspired me to give ebay a shot again - it's been a while! I'm a follower, my little sister would love that dress!! I've "liked" you on fb too, so again I'm going for the dress! I've "liked" you on fb...my daughter would love the costume! I also became a follower of your blog. Again the costume! I like you on both...fairy costume please! *I hope this comes through... having trouble posting via my Google account. I also like you on Facebook already. Again, the Magic School Bus books if I win. *Looks like Anonymous is the only way I can post. I liked you on Facebook and my 3 year old would love the Fairy costume. Thank you. I am following you with Google. The Fairy costume would make my girl smile from ear to ear. Man I love the b-day party idea!! How fun to have a dress up outfit for each girl!! I will have to remember that great idea!! I am now "following" the blog. :-) I would choose the books. I follow your blog (love it) and would like the books! Following you via GFC..as a mom of 3 girls, as if we need another dress up outfit..I would chose it anyways. I'll say books since I know we'd all use them. But that is an awfully cute outfit! While I'm sure our daughter would love the fairy costume, we're getting ready to move and space will be a little bit of an issue. So I think I'd choose the books for our homeschool library. I am a follower of your blog. I would love to win the costume! I am a follower of your blog and I have liked you on Facebook. I really wish I had a girl That costume is so cute! I would love to win the books though. Thanks for all the great advice on your blog. I'm following :) I'd choose the books! Thanks for all the wonderful info!! Too cute. I would pick the fairy costume. I'm a follower. I would love to win the books for my boys! Thanks for a great giveaway! I'm following. I would choose the fairy costume! I'm a blog follower and would pick the fairy costume for my Goddaughter. I have already liked your page on facebook. I look forward to each entry! I love the fairy costume! I'm already following you! And I'm also a fan on Facebook. I follow your site (and I'm totally obsessed!). I would pick the fairy costume... how sweet! I am a follower of your blog. I think I would pick the fairy costume! And how smart of you to do a giveaway with fun, fabulous garage sale finds! i would love those magic school bus books! This one is so hard to choose - I think I would choose the Magic School bus books. My daughter LOVES Magic School bus. I am now a follower of your blog. I would choose the books since I have a little boy. I also already like you on facebook! I love reading your blog and check it each day for updates. Thanks! I am a follower of your blog for a few weeks now and I LOVE it! I would love to see my daughter in that fairy costume! I love the fairy costume--I also follow you on Facebook! Love your site Jen. I follow you on Facebook. I would love either prize. I've been following for almost a month and liked on facebook -- love the motivation and informative posts! 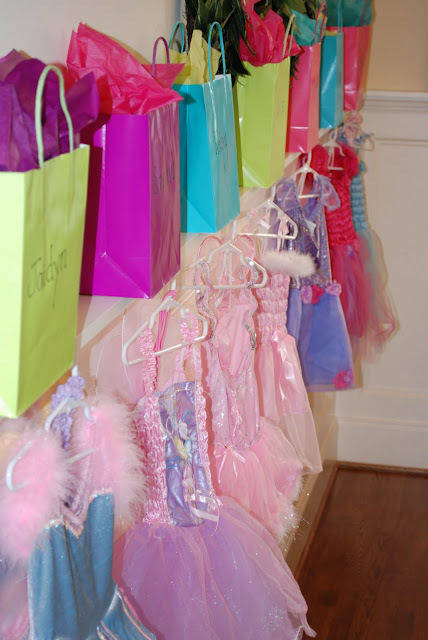 I have two little girls that would love the fairy costume -- dressing up is a favorite activity in our house! I follow your blog (or will be following as soon as the system corrects whatever error it is currently dealing with). I would love the fairy costume for my 4 year old. Already a follower under AEK and I don't know which I would pick. My girls would love both! I am a follower. If I happened to win I would like the Magic School Bus books. Thanks! I would pick the costume. It is so cute! i "like" yard sale mommy on fb and i love mth books. I'm a follower who's torn between the 2 prizes, uhm . . . let's see . . . I guess I'd pick The Magic School Bus books because I have a pinkalicious fairy costume already, and I should have something for the boys to share. Hi! I love your site and premise behind it! I just officially joined as a follower, but have been unofficially following for quite a while. I would like the books because I have two boys. Again, I love your site and think you are doing a fantastic job! I would choose the Magic School Bus books. As a grandmother I would love the fairy costume for my darling granddaughter. She loves to dress up and this would be perfect. I am already a follower. Thank you for the great blog! I would love the fairy costume. I followed you on facebook. and I would pick the magic school bus books. I am a follower of your blog. Love the blog is great!!!! Has helped me so much. I follow you. My little girl would love the fairy costume. Wow, you're getting quite a lot of follower! I am happily already one of them. Oh, and I like you on facebook too, Those Magic School Bus books look really fun. I always love reading your blog. I check it everyday. If I won, I would chose the Magic School Bus books as my girls love them! Recently found your blog and love it! I would choose the costume, as I have two little fairies at my house. I have also liked on FB! I had already "liked" you on Facebook and have now signed up to follow you. I love your blog and read it every day! I would choose the adorable fairy costume if I won. I would love to win the fairy outfit for my little princess. I recently found your blog and subcribed. Love it! So glad to have found your sight! Love it and am following! I am a follower & absolutely love your blog! I am so glad I found it & have already learned so much. I would have to pick the Fairy Costume for my youngest 2 little girls out of 5 children! It is so beautiful! They would love it dearly! My little girl will soon outgrow the fairy costumes, so we would go with the books. I love your posts! Following you via Google.... we'll take the books, please! I follow you on Google and Facebook because you know I love Yard Sale Mommy! My son would love the Magic Schoolhouse books. Thanks for hosting a great giveaway. I would choose the fairy costum. I follow by email. I "like" you. Teach me your ways! I am in KCMO.. I follow you and would love the books!!! and of course i'm a fan! I'd love to win the fairy princess costume. What a great find! Inspires me to go to a yard sale now! Would love the books! Love your blog!! I am a follower of your awesome blog! Would love the books! i just became a follower last week and love your blog. thanks for getting me out of bed saturday morning and buying a tub of thomas trains, geo trax and 2 huge nerf guns with ammo for 5 bucks. i am inspired by your blog to try ebay again, and I would choose the books. thanks. I've been a follower for a few weeks now and have read all the archives! :0) Love your blog! I'd choose the books if I won. Thank you for having giveaways.